On June 27, 2016, in a landmark decision, the Ninth Circuit Court of Appeals affirmed a permanent injunction by the U.S. District Court of Western Washington against the State of Washington (“State”) requiring it to replace or repair culverts blocking fish passage in streams throughout the state. The district court had imposed the injunction to remedy claims by Tribes that the State built and operates culverts underneath state roads that make it difficult or impossible for fish to move freely through streams in the State, thereby diminishing the number of fish traveling through the Tribes’ “usual and accustomed” fishing grounds and stations, thus violating the Tribes’ Treaty-based fishing rights by depriving the Tribes the opportunity to earn a moderate living from fishing. The implications of yesterday’s decision are potentially far-reaching. The Tribes will surely attempt to rely on the decision as a basis to question other activities by the State that potentially impact salmon and their habitat. The injunction, which establishes a schedule and priority for repairing and replacing culverts by the State, may have significant, immediate, and long-term budget impacts on state agencies. In 2001, the Western Washington Treaty Tribes, along with the United States, initiated this matter as a subproceeding in the longstanding United States v. Washington litigation. This litigation, which has been ongoing since 1970, involves determining the scope of the Tribes’ treaty fishing rights. The relevant treaties (commonly referred to as the Stevens Treaties) were negotiated by the federal government in the 1860’s. In general, the original lawsuit involved three key issues: (1) whether the treaties’ fishing clause entitles the Tribes to a specific allocation of fish; (2) if such an allocation is required, whether hatchery-bred fish are included in the allocation; and (3) whether the right of taking fish incorporates the right to have treaty fish protected from environmental degradation. After these issues were bifurcated, the Tribes, in Phase I of the litigation, successfully established that the treaties provided them with a right to take up to 50% of the “harvestable” fish. United States v. Washington, 384 F. Supp. 312 (W.D. Wash. 1974). In Phase II of the United States v. Washington litigation, the U.S. District Court of Western Washington considered the environmental component and held that “implicitly incorporated in the treaties’ fishing clause is the right to have the fishery habitat protected from man-made despoliation.” United States v. Washington, 506 F. Supp. 187, 190 (W.D. Wash. 1980). On review, the Ninth Circuit rejected the “environmental servitude” created by the district court, but recognized that the State and Tribes must take reasonable steps to preserve and enhance fishery resources. United States v. Washington, 694 F.2d 1374, 1389 (9th Cir. 1982). Subsequently, the Ninth Circuit, rehearing the issue en banc, vacated the district court’s order as being “imprecise in definition and uncertain in dimension.” United States v. Washington, 759 F.2d 1353, 1357 (9th Cir. 1985). While rejecting the imposition of a broad “environmental servitude,” the court left open the possibility that a specific duty may exist depending upon the facts of a particular case for its definition and articulation. Id. Sixteen years later in 2001, in this subproceeding, the Tribes requested a declaratory judgment establishing: (1) that the Stevens Treaties impose a duty on the State to refrain from diminishing the number of fish passing through, to or from the Tribes’ usual and accustomed fishing grounds by construction and/or maintenance of culverts; and (2) that the State had violated, and continues to violate, the duty owed to the Tribes under the Stevens Treaties. In addition, the Tribes requested an injunction preventing the State from constructing or maintaining any culverts that may impact salmon and requiring the State to identify within 18 months all culverts which impact salmon and to repair or replace the identified culverts within five years. The district court has limited the scope of the subproceeding to include only culverts blocking fish passage under State-owned roads. In the remedy phase of that subproceeding, the district court issued a permanent injunction in March of 2013 requiring the State agencies to provide and maintain fish passage for salmon at the barrier culverts, and set timelines within which the State must take specific action to that end. The State appealed. On appeal, the Ninth Circuit affirmed the District Court’s order, concluding that the State violated, and continues to violate, the Tribal Treaty fishing rights by building and maintaining barrier culverts. The Court affirmed the relief granted by the district court in the form of an injunction requiring Washington to correct its high-priority barrier culverts within seventeen years, and correct the remainder at the end of their natural life or in the course of independent road construction projects. 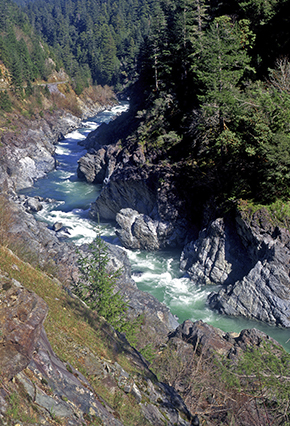 The Court rejected the State’s argument that the Treaties would not prohibit the State from blocking every salmon stream into Puget Sound and concluded that the State misconstrued the Treaties. Turning to the history of the Treaty negotiations, the court noted that the Tribes’ purpose in entering the Treaties and preserving fishing rights at their usual and accustomed places included ensuring that “there would be fish sufficient to sustain them.” Order at 29. The Court stated that even if Governor Stevens had not explicitly promised the Tribes that the Treaties would secure an adequate supply of fish, and their ability to rely on fish for food “forever,” the court would infer that promise to “support the purpose” of the Treaties. Order at 30-31. In short, “the Tribes’ right of access to their usual and accustomed fishing places would be worthless without harvestable fish.” Order at 31. The Court noted that the barrier culverts in the Case Area block approximately 1,000 linear miles of salmon habitat streams, and that if replaced or modified to allow passage, “several hundred thousand additional mature salmon would be produced every year.” Order at 32-33. State salmon populations being substantially depleted, the Court noted that the number of fish suitable for harvest is currently insufficient to provide the moderate living promised to the Tribes. Id. at 33. The Court rejected the State’s arguments that the district court order had improperly failed to consider the cost of implementing the injunction, or the breadth of the action required by the injunction in relation to its likelihood of “meaningfully improving runs” of fish. Likewise, the Court rejected the State’s contention that the district court erroneously failed to give deference to the State’s expertise regarding fish habitat restoration priorities, noting that the district court had “a sophisticated record-base understanding of the various causes of the decline of salmon in the Case Area” and what the correction of state-owned barrier culverts could accomplish. Order at 51. The panel also denied a cross-request by the State seeking an injunction directing the federal government to repair its barrier culverts before the State took action to do so. The State argued that by approving its highway design and maintenance plans, including its culvert design and maintenance plan, the federal government had determined that the plan satisfied any treaty obligations or waived those claims. The Court rejected that argument, holding it represented a claim against the United States in the interest of preserving the Tribes’ right, and Washington lacked standing to assert the Tribes’ treaty rights against the United States. The Court also noted that because the rights belong to the Tribes, the United States could not waive them. The Court also rejected the State’s attempt to couch the request as a claim for recoupment against the United States, noting that such a claim applies only to monetary relief and not to offset the costs associated with an injunction. For additional information on the injunction, or to discuss potential implications of the decision, please contact Matthew Love or Molly Lawrence at (206) 623.9372, or any member of the firm’s Environmental Litigation practice.